In our final segment with Prof. Rachel Stern, author of Environmental Litigation in China: A Study in Political Ambivalence , China Law & Policy discussed the role that the international NGO has played in China’s environmental law movement, especially given the fact that many foreign governments have cut back or completely eliminated their funding for “rule of law” projects in China. Finally, Prof. Stern concludes the interview with her assessment of the future of environmental litigation in China. A transcript of Part 3 of the interview is below. To listen to or read Part 2 of this interview, click here. 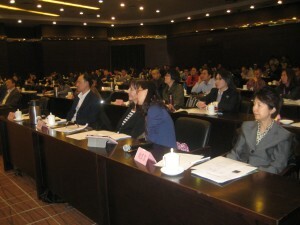 projects and environmental aid projects that have been happening in China for the past decade. Now as part of your research, you were able to attend some of these foreign sponsored conferences and see some the effects of this foreign aid. Can you give us a little bit of background on this and what the landscape looks like for foreign aid projects in the environmental sphere? RS: Sure. I did most of the research for this book between the end of 2006 and the beginning of 2008. I wasn’t really originally planning to write about international NGOs or foreign aid. 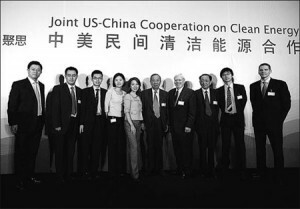 But as I was doing my interviews in China at that point, it wasn’t purely a domestic story, that it would be weird to write about environmental lawsuits and not write about the foreign, mostly international NGOs, who are trying to support environmental lawyers and environmental lawsuits and the development of public interest law in China. Once every two weeks, around that much, I would get an email announcing some kind of roundtable or training program or workshop on one of those themes. Whether it was environmental law or there was a lot of public interest law and public interest litigation. These were ideas that were really very much in the intellectual ether and really being promoted by a range of international NGOs. So I felt that I had to write something about those efforts and the kind of effect I thought they were having. EL: And what do you think….based upon what you viewed, what do you think the efficacy of these programs are? How successful are these international programs? RS: I tried to write the chapter right down the middle; people react to it really differently. But what I was trying to say is that I think they have some successes in an extremely difficult environment for action. I think what’s challenging is that these programs have been caught up in the seduction of quantification. There is a ton of pressure to count things, to have quantifiable outcomes for these programs. I think often in a worst case scenario, that boils down to the number of people trained. How many trainings can we run? How many can we run in how many different areas of the country? How many people have been there? I think this is really the wrong approach because where I see the successes of these programs are not on the mass level. So if you have 100 people at a training I think 95 of them are going to go back to their same old existence. And I think that’s as we would expect. Think about how many three-day workshops you have been to. EL: I have been to a lot! [Laughter] And I go back to my old life a lot. RS: Me too. I can’t think of any three-day workshop I have been to that has changed the direction of my life. So I think that the effects are most evident for a very small minority of people who really use these as springboards to really change their life and their commitments. And I also think that they can be really effective in promoting ideas and putting ideas in circulation and discussion that were not there before. So I think those effects are really important but they’re almost impossible to quantify which is why it is so frustrating for donors. EL: In the past couple of months you have seen some foreign donors like the Canadian government and the Swedish government pulling out its aid to China on a lot of these projects. Do you think it’s a smart move? What do you think will be the result if more donors follow suit and pull out aid from China for projects like these? RS: I think donors have been pulling out because the economic argument – providing aid to China – holds absolutely no water any more. It’s clear that China…. RS: They should be giving us aid if you look at it as a tool for economic development or something like that. I am waiting for the discourse to shift so that we look at these programs as a tool of diplomacy. Which is really how I see them. EL: I think you note that in the book and I think that’s important that I think gets lost in the shuffle about quantifying all of these projects is that you learn whose on the ground. If you do the projects right you learn who is on the ground in remote areas that’s doing really cool work and that can help…you can find out who those people are and see what is really happening. RS: Yes. Your question was about what are we going to lose and when I think about what we are going to lose, one of the big things I think about is that we are going to lose a lot of knowledge about China because the people who have been involved in these projects for a really long time – like folks at the Ford Foundation and the American Bar Association – these are some of the Americans who are most knowledgeable about what’s going on in China and some of the very few American voices that are on the ground participating in any way in domestic debates over what should happen with rule of law. EL: Just in closing, where do you see environmental litigation and/or the environmental movement now that you are comfortable calling it that, where do you see it going in China in the future? What will the future environmental movement look like for these kids? RS: Well the environmental movement is totally going to take off. Now that it is here and I am comfortable with it, I’m going to predict…. EL: [laughing]…yes….now that you have written a book about it, it is going to take off…. RS: No, I really think so though. I just see a growing demand for a reduction of risk; not just environment but also food safety. There is no question that Chinese citizens have a right to expect, increasingly expect and increasingly will expect government regulation to reduce risk in their lives. I’m not exactly sure what form that reduction of risk is going to take. It may take the form of regulation and beefing up regulatory agencies as opposed to courts and judges. That’s the part that is not clear. I do think that the Chinese government will be responsive to these demands for risk reduction. But exactly how they are going to be responsive is not yet clear. This area is changing so fast. It was so hard to let this book go off to the publishers because the story is changing every year. Between when I started this book and when I finished it, laws on standing changed, 95 environmental courts opened around the nation, China Greenpeace brought their first environmental law suit in China. EL: I guess you already have the second edition ready then…. RS: [laughing] Any day now. Just talk to my publisher about it! EL: Well thank you for joining us Rachel. If people are interested in purchasing your book, it is a great book – Environmental Litigation in China: A Study in Political Ambivalence – where can they do that? RS: They can buy it on Amazon and I would be delighted. EL: Okay. Thank you so much. This concludes China Law & Policy’s three-part interview series with Prof. Rachel Stern. 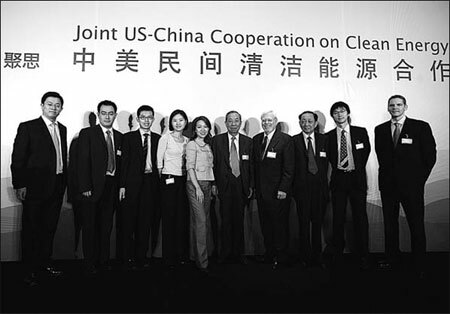 To go back and read Part 1 of the interview (focus on the rise of the environmental movement in China), click here. To read Part 2 of the interview (focus on litigating environmental cases in China), click here. 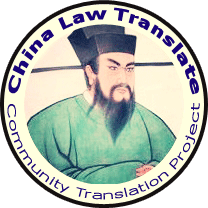 To read China Law & Policy’s book review of Environmental Litigation in China: A Study in Political Ambivalence , click here. ← Rachel Stern on Environmental Litigation in China – Success or Failure?